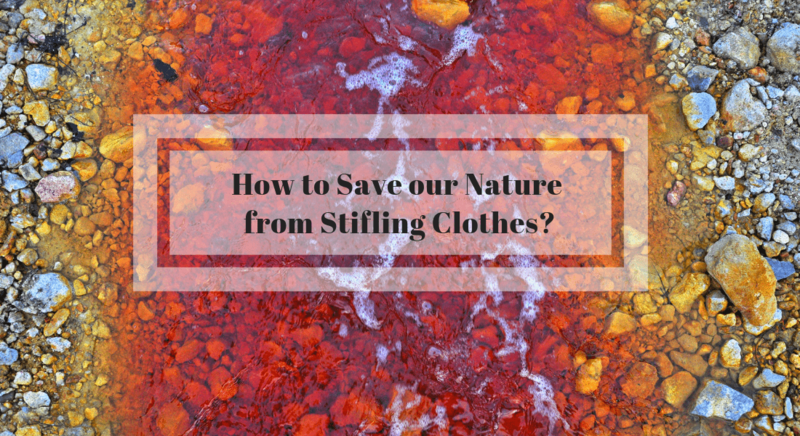 HomeEnvironmentHow to Save our Nature from Stifling Clothes? 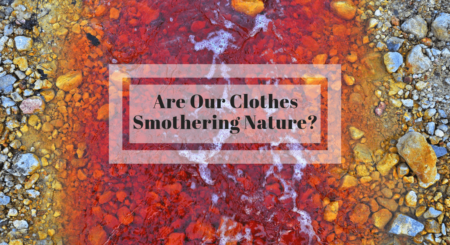 In the last blog, we discussed how the clothes smother our environment by constantly polluting its natural resources. Global warming and other misshapen and disasters have forced opened the eyes of several people to reality. This also forced the hands of people to take measures for protecting the environment. Cotton is one of the basic fabric used for making clothes. Almost 40% of the total clothes are made of cotton. The big ‘but’ comes when we consider the production of cotton. Due to the increased demand for the cotton, chemical fertilizers and pesticides are used. We even use modified cotton seeds which are resistant to the effects of a pest. This could lead to the development of superbugs – bugs which shows resilience to pesticides. Moreover, pesticides and fertilizers use chemicals that are toxic, bio-accumulative and carcinogenic. As a step to help nature recover, some brands prefer to use organic cotton rather than synthetic. Moreover, there has been an increase in demand among customer itself for organic cotton clothes. The attention to organically made clothes is gaining attention. Still, the industry is small. Studies show that the textile industry is second only to the agricultural industry for polluting the water resources. The primary process intoxicating the water is dyeing of the clothes. It takes around 400 gallons of water to dye single jeans. And with the advent of fast fashion, the environmental effects have increased drastically. As an escape from the chemically dyed clothes, a new line of clothing has come up called Ayurvastra. It is the ancient form of clothing prevailed in India, especially Kerala. Ayurvastra imbibes the goodness of Ayurveda into the clothes. It uses organic cotton or jute to makes clothes. But the most attractive feature is that the uses naturally made dyes to colour the clothes. These natural dyes are a concoction of herbs with medicinal values. Thus we get a totally chemical free clothing. As humans, we have always been proud of our intellectual greatness but we can never live by ourselves. We need the earth and its other inhabitants no matter how much we deny and destroy it. So for our own future its better to take care of nature. Its never too late to start. We could mend our destructive ways with more eco-friendly and productive ways. Let’s start with our clothes. Support Organic, Support life! Posted in Environment and tagged chemical dyes, clothes, clothes and nature, clothes environmental impact, dyes, natural colour.